ISO Approved Supplier & Exporter of Seamless & Welded Stainless Steel 321H Pipes & Tubes. Leading Stockists and Exporter of Stainless Steel TP 321H Seamless Pipes, TP 321H SS ERW Pipes, TP 321H Stainless Steel Pipes, UNS S32109 Tube, UNS S32109 Pipe, SUS 321H Pipe, Stainless Steel 321H Tube, 321H Stainless Steel EFW Tubing Stock Holder, ASTM A269 Seamless and Welded Austenitic Stainless Steel 321H Tubing, Stainless Steel ASME SA312 TP 321H Pipes Dealer. Piyush Steel is a distinguished stockiest and supplier of Stainless Steel TP 321H Pipes which possesses good low temperature toughness. Austenitic stainless steel Grade 321H Tubes is titanium stabilized austenitic stainless steel with good general corrosion resistance. Titanium is added to the composition of Alloy 321H Tubes to suppress grain boundary chromium carbide precipitation and reduce susceptibility to intergranular corrosion. 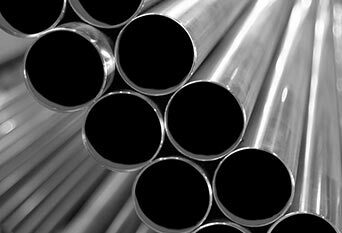 Stainless Steel UNS S32109 Pipes has excellent resistance to intergranular corrosion after exposure to temperatures in the chromium carbide precipitation range of 800 – 1500 Degree F (427 – 816 Degree C). 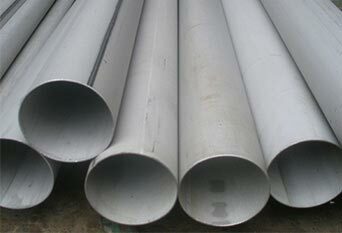 Stainless Steel Din 1.4878 Pipes and Tubes cannot be hardened by heat treatment, only by cold working. 321H Stainless Steel Tubes can be easily welded and processed by standard shop fabrication practices. SS 321H Tubes is the higher carbon (0.04 – 0.10) version of the alloy. In most instances, the carbon content of the plate enables dual certification. 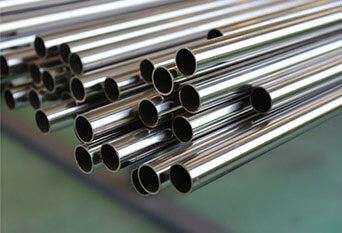 Buy 321H Stainless Steel Seamless Tubing at reasonable cost from us. Stainless Steel 321H Pipe, 321H Stainless Steel Pipe, Seamless Austenitic Stainless TP 321H Tubes, SS 321H Pipe, Stainless Steel 321H Welded Pipes, UNS S32109 Pipe, DIN 1.4878 Pipe, SUS 321H Pipe, UNS S32109 Tube, Stainless Steel 321H Tube, DIN 1.4878 Tube, SUS 321H Tube, Stainless Steel 321H Seamless Pipes, Inox 321H Pipe, SS 321H Seamless Tubing, Stainless Steel 321H Tubing, SUS 321H SS Tube Supplier in Mumbai, India. TP321H Stainless Steel Seamless Pipe Dealer, SS UNS S32109 Pipes, ASTM A358 TP 321H EFW Pipes, SS Werkstoff nr. 1.4878 Welded Pipes, ASTM A312 SS TP 321H Pipes, UNS S32109 Tube, Inox 321H Pipe, UNS S32109 Pipe, SUS 321H Tube, DIN 1.4878 Tube, Inox 321H Tube, ASTM A249 TP 321H Welded Tubes, ASTM A213 Stainless Steel TP321H Seamless Tubing, SS 321H Tubing Manufacturer in India. AISI 321H Pipes has good forming and welding capabilities, and is widely used in running temperature atmospheres. SUS 321H Tubes was developed for enhanced creep resistance and for higher strength at temperatures above 1000 Deg F (537 Degree C). AISI 321H Tubes resists oxidation to 1500 Degree F (816 Degree C) and has higher creep and stress rupture properties than alloys 304 and 304L. Since most high-temperature materials are optimised with regard to strength and corrosion resistance at elevated temperatures, the resistance to electrochemical low-temperature corrosion of Alloy 321H Pipes may be less satisfactory. Type 321H Pipes is non-magnetic in the annealed condition and can be hardened only by cold working. Grade 321H Pipes are widely extensively used in soaring temperature conditions. They are used in several industries such as sugar and pharmaceutical, engineering, chemical, and other at length. 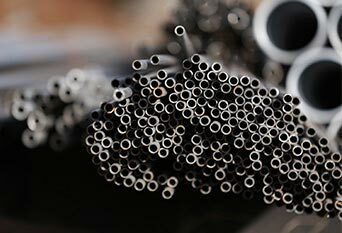 We Supply SS 321H Pipes & Tubes of various origin’s and companies like Nippon Steel & Sumitomo Metal, Sandvik, Sanyo Special Steel, Kobe Steel, Schoeller Bleckmann, Salzgitter Mannesmann Stainless Tubes, Tubacex etc. 321h stainless pipe, 321h stainless steel pipe price list, schedule 10 stainless steel 321h pipe, 321h stainless coil tubing, stainless steel 321h coil tube, ss 321h pipe weight chart, marine stainless steel 321h tubing suppliers in mumbai, india, tp321h seamless pipe manufacturer, austenitic TP321h seamless pipes for high pressure, prime quality tp321h stainless steel seamless pipes, type 321h stainless steel, stainless steel pipe grade 321h, 321h stainless steel properties, seamless pipe astm a312 tp321h, large diameter steel pipe manufacturers in india, 321h stainless steel tubing price in mumbai, india, 321h stainless steel pipe weight per foot, ss 321h seamless pipe sizes, ss 321h pipe schedule chart, 321h stainless steel pipe specifications, jindal ss 321h pipes price list, tp321h seamless stainless steel pipes, stainless steel tube manufacturers in mumbai, india, schedule 40 stainless steel 321h pipe, polished stainless 321h tubing, stainless steel 321h schedule 40 pipe, 321h stainless steel tubing sizes, 321h stainless steel tubing suppliers, a312 tp321h stainless pipe, a312 tp321h seamless pipes, a312 tp321h welded stainless steel, stainless steel 321h pressure pipe, stainless steel tp 321h sanitary tubing, stainless steel 321h mechanical tubing, erw stainless steel 321h pipe, 10mm stainless steel 321h tube, 40mm stainless steel 321h tube, astm a213 tp321h price in india, stainless steel 321h pipe price, 4 inch 321h stainless steel pipe price, a312 TP 321h precision stainless steel tubing suppliers.